Yesterday was a great day. I had great fun debating ERM with a good friend, Chris Mandel, SVP Strategic Solutions, Sedgwick and Director, Sedgwick Institute. We started talking about ERM and what it means for business but quickly switched to many other fascinating topics, including integration of risk management, decision making, cognitive biases, quantification, showing risk management value and so on. Definitely worth a listen. Enjoy! Pingback: The great debate – Alex Sidorenko vs Chris Mandel – is ERM real? 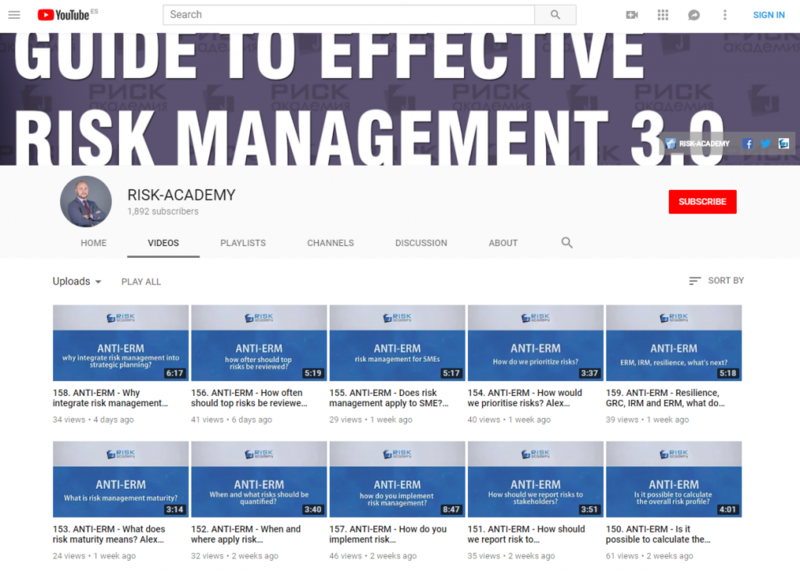 – RISK-ACADEMY Blog - РИСК-АКАДЕМИЯ / АНО ДПО "ИСАР"